Thank you all SO MUCH for your patience and support! 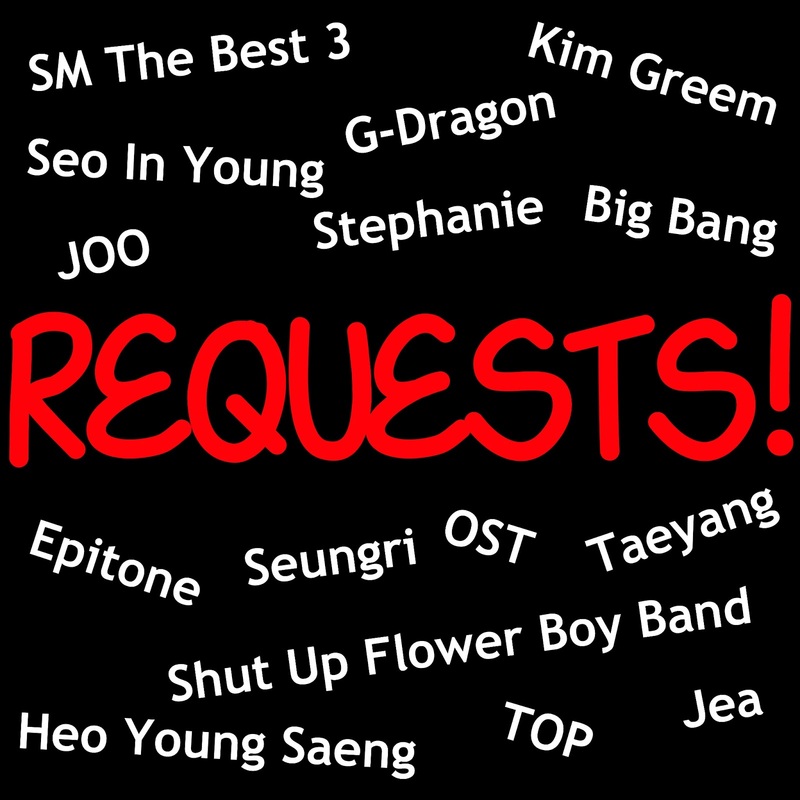 Also, please don't request popular newly released albums because we WILL post it up with in a week!!!! WARNING! YOU MUST DOWNLOAD YOUR REQUEST AS SOON AS POSSIBLE BEFORE MEDIAFIRE TAKES IT DOWN!!! No password protection and all the albums are compressed into a zip file. 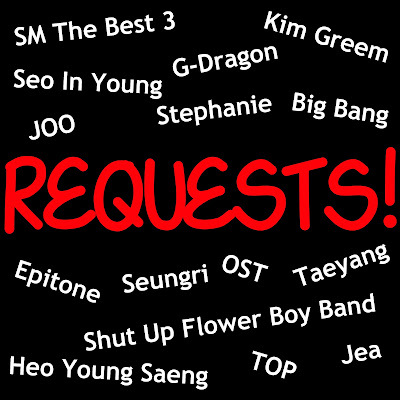 We did not upload any OST albums, non-Korean albums, singles or music videos (unless they had been specifically requested).